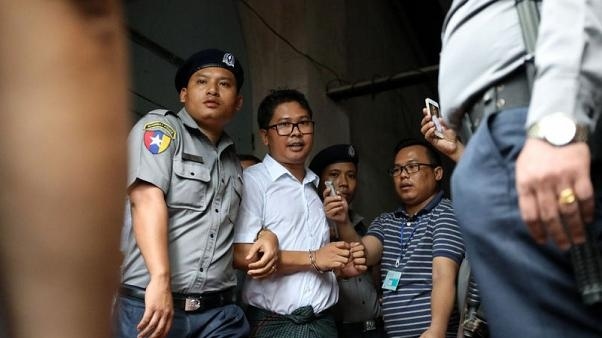 AKIPRESS.COM - A Myanmar judge on Monday found two Reuters journalists guilty of breaching a law on state secrets and sentenced them to seven years in prison, in a landmark case seen as a test of progress towards democracy in the Southeast Asian country. Yangon northern district judge Ye Lwin said Wa Lone, 32, and Kyaw Soe Oo, 28, breached the colonial-era Official Secrets Act when they collected and obtained confidential documents, Reuters reported. “The defendants ... have breached Official Secrets Act section 3.1.c, and are sentenced to seven years. The time already served by the defendants from Dec. 12 will be taken into consideration,” the judge said.